Want to practice writing and feel happier? Try a gratitude journal. 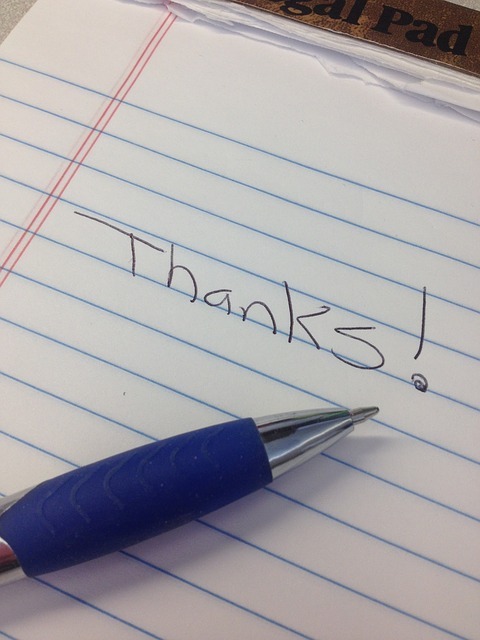 Can practicing gratitude shift your life and your writing? Read this article by Izzy McRae to learn about her experience with gratitude journals. A few years ago I was working as a diplomat in Pakistan, living in a huge house with a house-keeper and guards, and doing a job which made me sound important. But it was one of the most unhappy times in my life. I was lonely, living on my own, and struggling with my job. I desperately missed my friends and family. So I took a look at my life and decided it needed to become happier. I knew I was incredibly privileged, but I wasn't actually enjoying any of it. So I started a quest - reading books, trying out the tools they recommended, and doing my best to make decisions based on what would give me most happiness. I tried all kinds of things. I started meditating. I exercised outdoors, rock climbing in the mountains behind Islamabad. I spent time with friends. And it was also around this time that I started practicing gratitude. I had read that writing down three good things every day could increase your gratitude, happiness, self-esteem and compassion for others. Everyone from Oprah to Sheryl Sandberg has recommended it. In one study I read, people who wrote down what they were grateful for every day for ten weeks were 25 per cent more satisfied with life than those who wrote down neutral information or hassles they had had. They also had fewer symptoms of physical illness and did one and a half hours more exercise. So I tried it, keeping a journal by my bed and noting down three good things about each day. I found this practice had a really profound effect on me. For starters, I realised that I had been overlooking many of the good things that happened. I'd have a great day, marred by one argument, and at the end of the day I'd come home thinking about the argument instead of all the good things. We humans have evolved to focus on problems rather than good things, because if our ancestors focused on how beautiful the sunset was, rather than worrying about how to avoid tigers, they got eaten. The act of writing three good things down forces me to change my perspective. Often I realise I have far more than three good things to remember. I've also found that knowing I have to write them down later means that I start looking out for the good things in life, noticing them more when they happen. Taking the time to savour a meal or a conversation so I can describe it later. Finally, I found that at least two out of three of my good things are nearly always about my relationships with others, be it a kind word from a stranger, or a long chat with a friend. This confirms what the research indicates - that connections with others are crucial to happiness. But seeing these connections written down every day has helped me prioritise my relationships and give them the time they deserve. The only problem was that I kept forgetting to write my journal. It was just one more thing to do at the end of the day. So I figured I'd try making it more fun for myself, turning it into a game so I had a bit more of an incentive to do it. 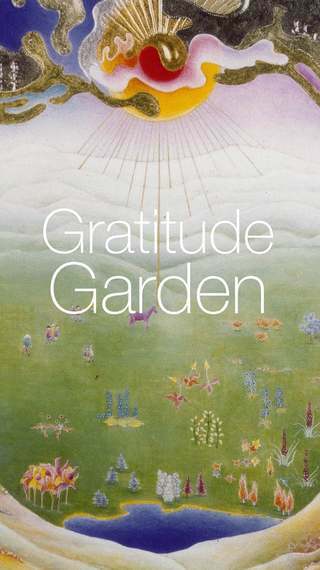 I ended up making an app called the Gratitude Garden, which is coming out this weekend, on 29 May. It allows you to enter your three good things, and then gives you points that you can use to build up a garden. You also get the chance to select a surprise card with various suggestions for more positive stuff you can do. If you like, the app reminds you of previous good things you have experienced, by sending you a notification during the day. It's pretty simple and I hope it will help people, as the exercise has helped me. I really hope that kids will be attracted to the game aspect and start developing a gratitude practice early on in life. And for the rest of us, as many of us spend so much time looking at our phones, I hope that having the app might encourage us doing something truly positive for ourselves. Today I am grateful for living in England in May - it has been such a beautiful month and today was no exception. I'm also grateful for a lovely chat with my old economics tutor, and for tea and good conversation with my dear friend Gabi.